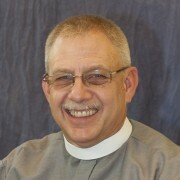 Canon Walker came to St. Paul’s Episcopal Church in 2004 and currently serves as the Priest-in-Charge. She graduated from Church Divinity School of the Pacific, Berkeley, with a M.Div. in 1996 and was ordained to the priesthood in May 1999. Canon Walker and her partner, Pat Park, enjoy camping in their RV. In 2013 she had the joy of walking the Camino de Santiago as part of her sabbatical rest. She enjoys gardening, slow meals with good friends, and time with her family. Father Eric Symons attended The Church Divinity School of the Pacific, graduating in 1974, and was ordained a priest in 1975. He has served in the dioceses of California, San Joaquin, El Camino Real, and Northern California, retiring in 2007. Reverend Anne became an Episcopalian while attending Marquette University. Her seminary education was at CDSP and Nashotah House. 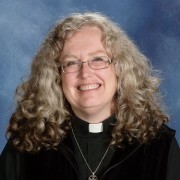 She was ordained in 2003 and has served the Dioceses of San Diego, Eastern Oregon, Idaho, and Northern California in both campus and parish ministry. She has a deep interest in contemplative prayer and church music, and currently sings with the Renaissance Choir of Sacramento. Rev. 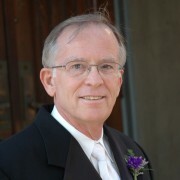 McKeever attended the Church Divinity School of the Pacific, graduating with an M.Div degree in 2009. 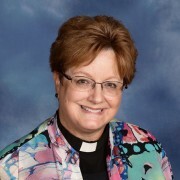 She was ordained as a priest in 2010 and served at Trinity Cathedral before joining the staff at St. Paul’s in 2014. 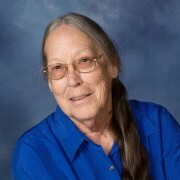 For thirty-one years, she taught English at Woodland High School. Anne is drawn to ministries that promote health, wellness, recovery, fellowship, and spiritual formation. Rev. 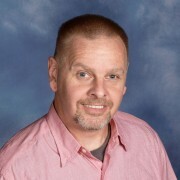 Rik Rasmussen was called to the priesthood by St. Paul’s. He graduated from Church Divinity School of the Pacific (CDSP) in 2013 with a Certificate of Anglican Studies. He was part of the first hybrid program at CDSP – distance learning coupled with summer intensives. Rik was ordained a priest at St. Paul’s in 2015. In addition to serving at St. Paul’s he also serves at St. Matthew’s. Rik’s sermons can be found at riksermon.blogspot.com . 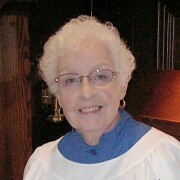 Nancy Metzger holds a master’s degree in music and has had a long and varied career as a college music professor, a recitalist on both organ and harpsichord, a recording artist, and longest of all, a church musician. 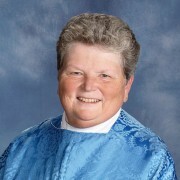 She has served churches in Oregon, California and the Washington, DC area.